9th Age Would you buy Mesoamerican-Dinosaur wall relief plates? Discussion in 'Lizardmen & Saurian Ancients Discussion' started by Karak Norn Clansman, Jul 20, 2017. Please check these out for reference, both for detail level, sculpting quality/flaws and perhaps most importantly check the blogshop for price (resin isn't cheap). 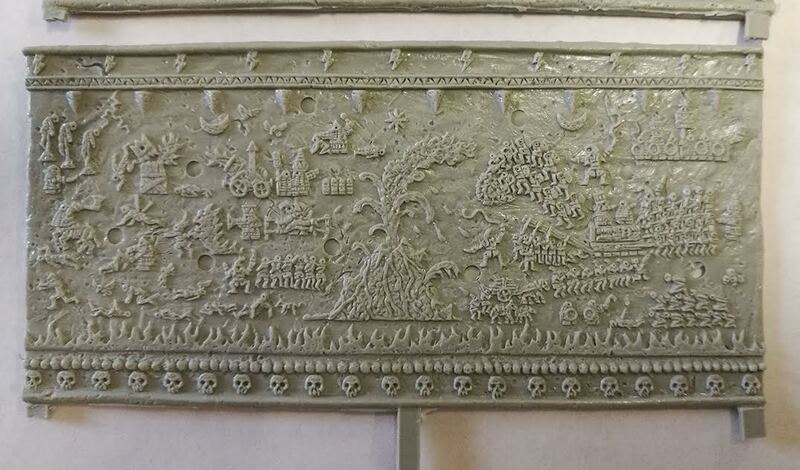 Which dimensions do you want for wall reliefs? Any preferred measurements? Same as the Evil Dwarf ones above? Taller perhaps? Do you want vines, moss and jungle flora decorating the stonework? Just as with the portrait frameworks on this very well-designed homepage. Can you please point to real life and fictional Mesoamerican style stonework and artwork references which you would particularly like to see with a Saurian twist? Could be Mayan calendars or whatever. I'd probably only do two plates for starters, so better make the most out of them. If the two first prove popular and there are ideas for very different relief designs, more wall relief plates could be coming in the future pipeline. Please note that the relief plates will have holes drilled through them by the caster for moulding reasons, aiming at undetailed spots. This will require filling by the hobbyist. Please also note that I as an amateur will not be able to achieve perfectly exact straight lines despite sculpting with a ruler; check the Evil Dwarf relief plates. I won't promise anything as of now, but if sufficient interest exists I'll be happy to attempt Saurian wall relief plates a bit later on. 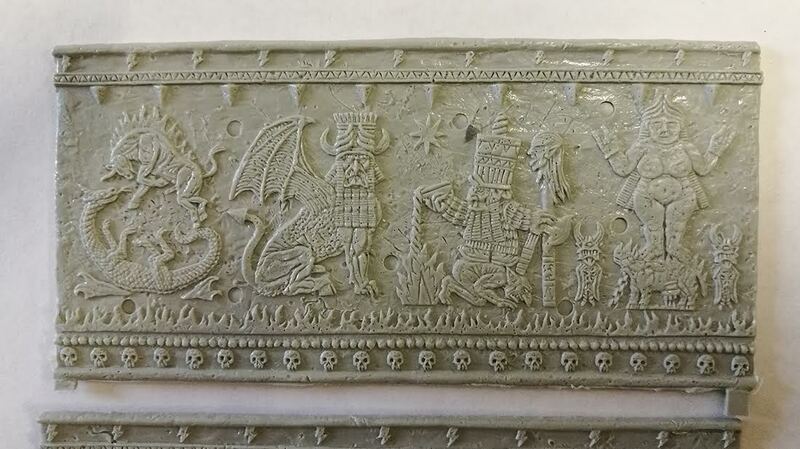 I've promised to finish some other projects in the works, but might sneak in said wall reliefs in the loose queue because they're essentially 2D sculpts and much quicker to sculpt than actual 3D-miniatures. Also, should other work distract and make me forget about Saurian wall reliefs, be welcome to send reminders after summer to ofancienttimes ( at ) gmail.com. Captaniser and Warden like this. @Karak Norn Clansman sniff around the forums for @Warden 's Mayan Art Thread. All the source material one could ever want on real world Maya-style facades. I would consider it. Your work over at Chaos Dwarfs is inspiring, and your sculpts are always beautiful. I would think possibly taller? Saurus are taller than dwarfs, close to 1 and 1/2 inch including spikes (about 4 cm I think; thanks for including both versions of currency in your links). I think that would be nice, but not too much. It almost might be easier to to just add vines ourselves afterwards if we want it to look sufficiently ruined though. Thanks @pendrake , there is a ton of stuff in that thread that could be used. There is a great wooden lintel from Tikal on the first page, plus plenty of Mayan vases that could be used for source material. I would also suggest looking at the painted murals of Bonampak (though they are 2D, so that might not help as much) and especially the stone carved lintels of Yaxchillan. 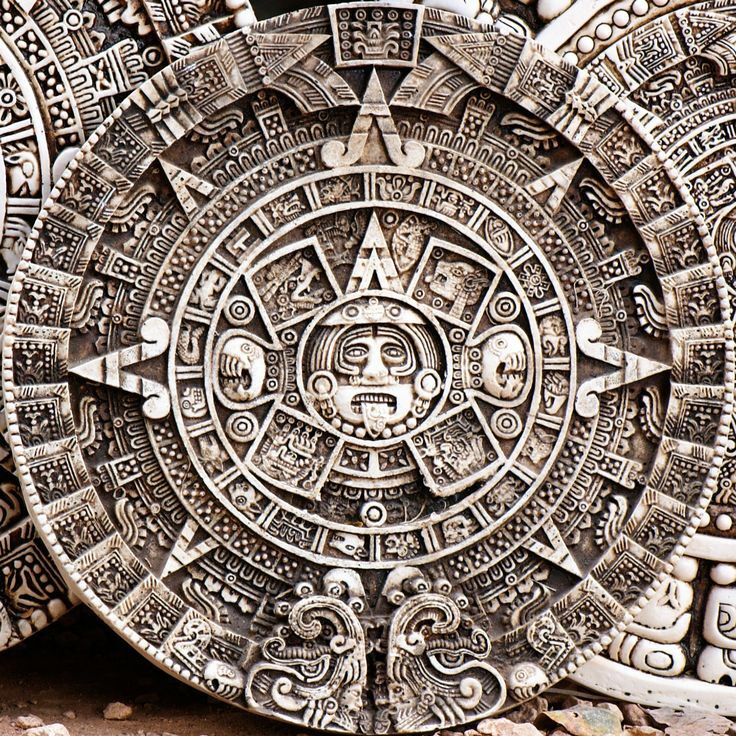 And the Aztec Calendar sun-dial sculpture would be good too, that is definately a classic piece. @pendrake : Thanks for the tip! Will do. I always gather heaps of all manner of reference images before starting work like this (the blessings of the Internet for scholarly and creative work! ), but I'm sure Warden's collection will come in very handy nevertheless. However, I'm wondering if people want any particular motives. General stuff I can always find on my own, but I'm curious as to particular wishes. @Warden : Thank you kindly. This is just such a particular wish for motives that I was fishing for. Excellent idea with a Dinosaur parade! Good feedback. Higher, check. Sparse with the vegetation, check. Good reference recommendations, too! Dinotopia! I've had that book since early childhood years. Wondrous illustrations. Thanks for the reminder. I loved it too. It was great as a kid I got to meet the author at a local bookstore, he showed us some of the other artwork he had done, and it was amazing. Very talented. I also just thought of the diorama from the white dwarf (it was on Scribed, not sure if it still is), who had some painted murals as well. In fact the one with the two lizards and captives is actually based on a famous Yaxchillan mural. Good inspiration, I plan to copy it someday. Crowsfoot, n810 and Aginor like this. Chaos Dwarves! I"d love to own those plates.